Sony jut debuted this poster for Quentin Tarantino’s Django Unchained, the revenge fueled saga concerning a newly freed slave and his quest to find his long lost love. Tarantino, the auteur behind Pulp Fiction, Kill Bill, and Inglourious Basterds, has been shooting Django these past few months with a cast that includes Jamie Foxx, Christoph Waltz, Samuel L Jackson, and Leonardo DiCaprio. Expect Django Unchained to be HUGE, by the way. Basterds got overshadowed by Avatar and Hurt Locker back in 2009, but there doesn’t seem to be anything like that on the horizon to get in Django‘s way, so the Weinstein Company may finally get Tarantino the Best Picture Oscar he deserves. The script is sprawling and wonderful but has a pretty mature tone, so Academy members should have no trouble digesting it. This just might be Tarantino’s year. 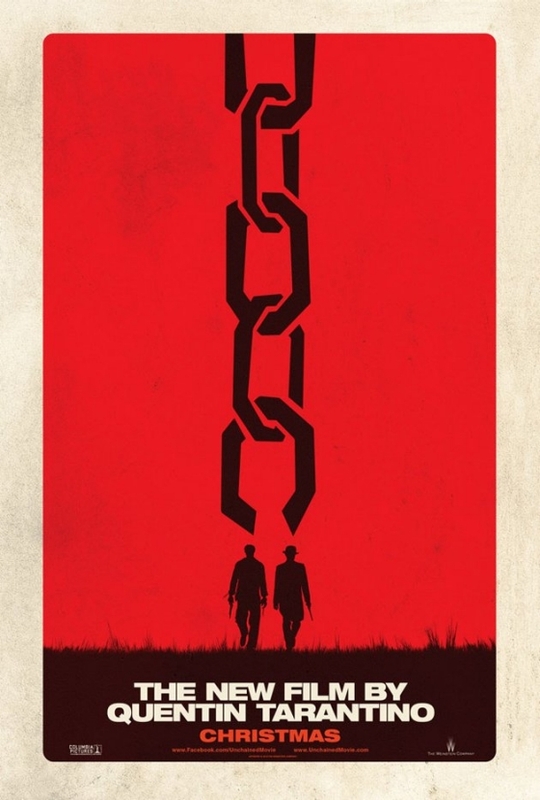 Django Unchained hits theaters on Christmas Day, 2012. Comments for Check Out The First Poster For Quentin Tarantino’s “Django Unchained” are now closed.